Back when NARS first released the original line of makeup brush they were among the most special tools you could buy outside of Japan. As far as I know it was the first Western line to offer "real" traditional Japanese brush shapes (such as a yachiyo and an itabake. Do note that the links go to my reviews of the old versions, not the new Artistry Brushes) along with basic staples. That was a long time ago and as the years went by the makeup brush market caught up and several luxury brands started creating and selling top-of-the-line makeup brushes. 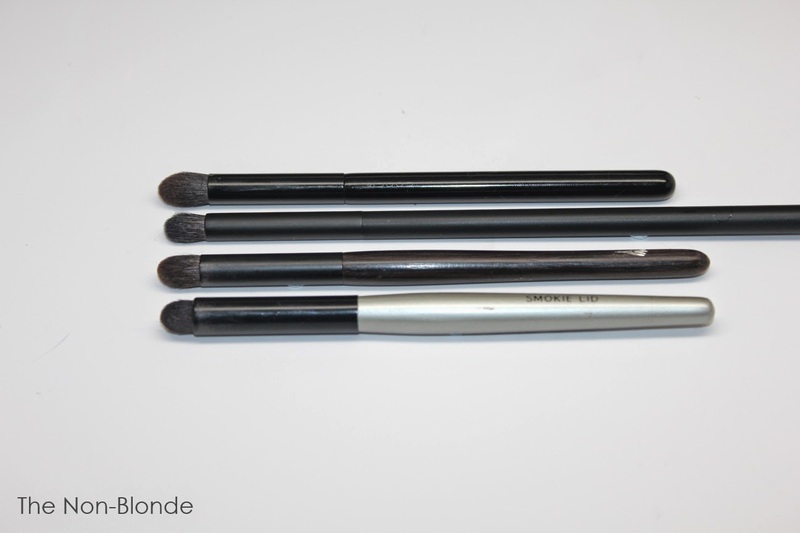 While there was never any fault in the shape and design of NARS brushes, many of them fell behind in hair quality. But NARS did exactly what was in order: a reboot and redesign of the brush range with excellent results. The new brushes are exactly what one would expect from this brand. 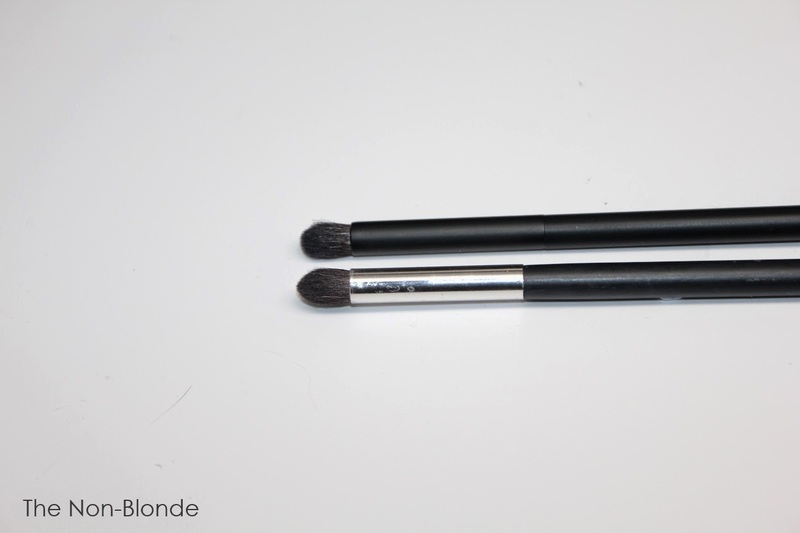 I started by purchasing the #44 Precision Contour Brush. It's one of my favorite shapes and the old NARS brush in this category, the #14 Eye Contour, has been one of my workhorses for many years. You can see that it still looks almost new and has retained its shape phenomenally. 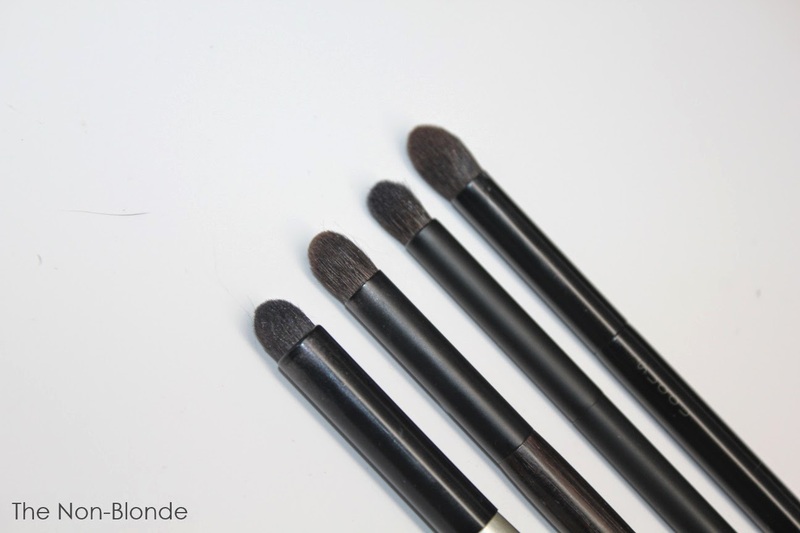 Which is perhaps where the problem lies: the #14 is very dense and firm, and compared to other crease/contour/blending brushes is quite hard and coarse. The new #44 is not identical in shape (the head is rounder) but it serves the same purpose of applying color to the crease and lid, smoking it out and/or defining the lashline and outer V (usage depends on eye shape and lid size). And it does all of that while feeling much softer. The hair is of better quality than the old pony or goat hair used in the past and my lids are happier. The brush is still firm enough to pick up all the color that I need and performs beautifully. 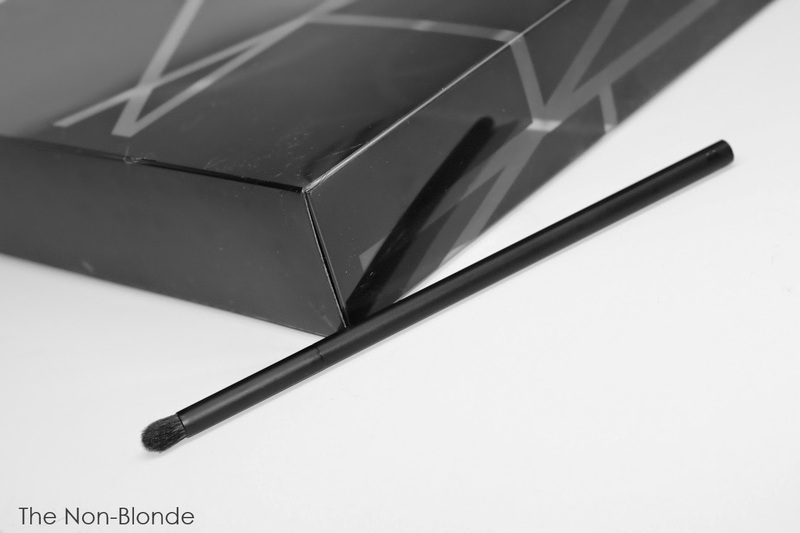 The new design of NARS Artistry Brushes is modern and elegant. 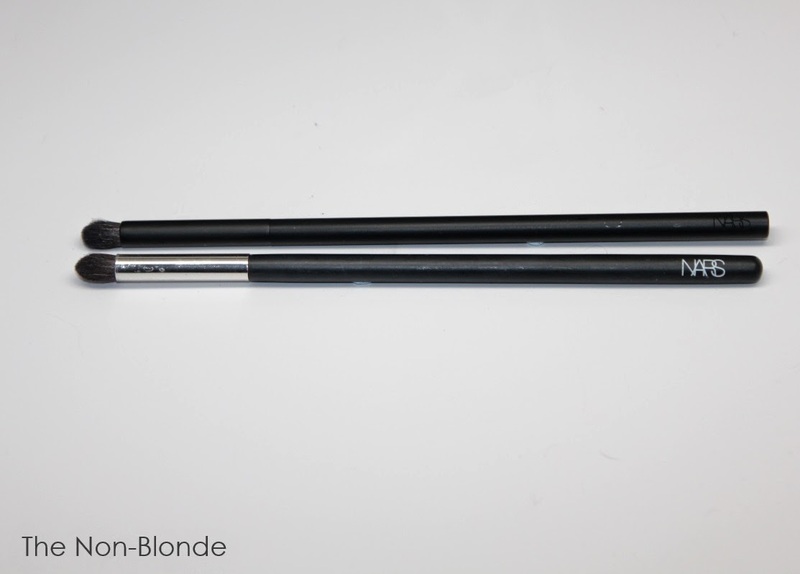 The handle and ferrule are matte black. 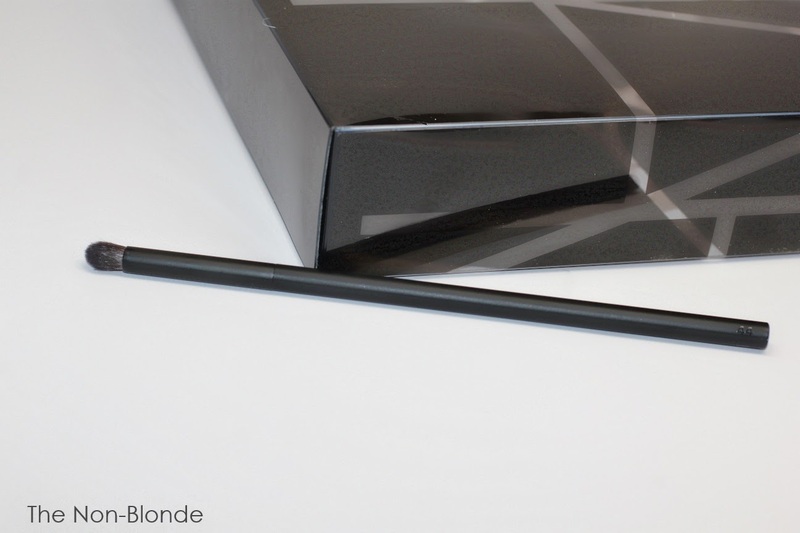 The blunt end is red lacquered and overall feel is as luxurious as they come. The #44 brush is an equal member in my most exclusive club of Big Loves, next to Paula Dorf Smokie Lid, Hakuhodo Kokutan T, and Suqqu M (I don't have the much-lamented S). 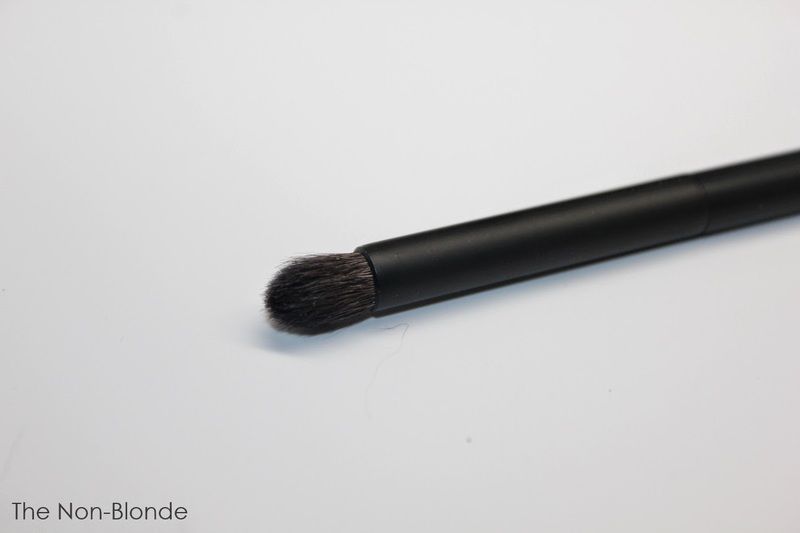 NARS #44 Precision Contour Brush ($28) is available at the counters and from narscosmetics.com. This shape of crease brush is really my favorite. Clinique actually makes a really good one suprisingly! The shade is perfect and the hair is support soft. I like it better than my Wayne Goss #20. I'll make sure to check the Nars one.